Here is a healthy recipe that is sure to help you beat the winter chill! This nutritious paratha is made from finger millet (ragi) and sorghum (jowar) flour, and contains beetroot and spinach in it. Mix all the ingredients together in a bowl and knead to make soft dough. Set aside for 20 minutes. 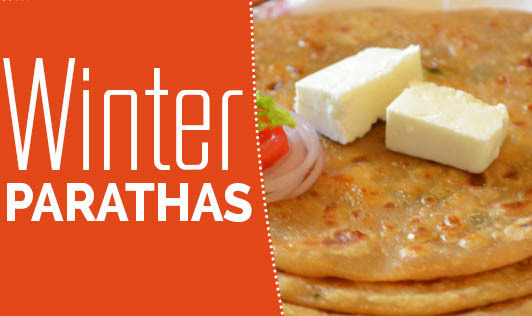 Roll out each portion of the dough into a paratha with the help of a rolling pin. Cook the parathas on a nonstick pan (tawa) till little pink spots appear on both sides of the paratha.